Q. What can you tell me about snipe? A: Well, I recall going on a snipe hunt in Boys Scouts when I wasa tenderfoot scout. And then there was the time I was bird watching in northernAlberta and we were watching the snipe circle, tumble with a neat, melodicsound, until a 300-pound bear fresh out of hibernation came within 50 feet ofus looking for a meal. Or do you mean snipe in a planer? I will assume that your planer has the knife head on the top. If it’son the bottom, reverse this discussion. Planer snipe is caused when the end ofthe lumber is pushed into the head and away from the bottom bed plate. The endresult is that the first and/or last six inches of the piece of lumber isthinner than the rest of the piece. Snipe is 100 percent controllable...here ishow to keep the lumber tightly against the end plate. The lumber is held against the bed plate by the"unmovable" pressure bar, if the PB is set properly. If the PB is tootight, then the lumber will not feed easily, so a tight PB is rare...anoperator will open the PB when the lumber does not feed easily. A PB that istoo loose, either from being opened too far or from wear, allows the lumber tochatter between the PB and the bed plate. It takes a lot of sanding to get asmooth surface. 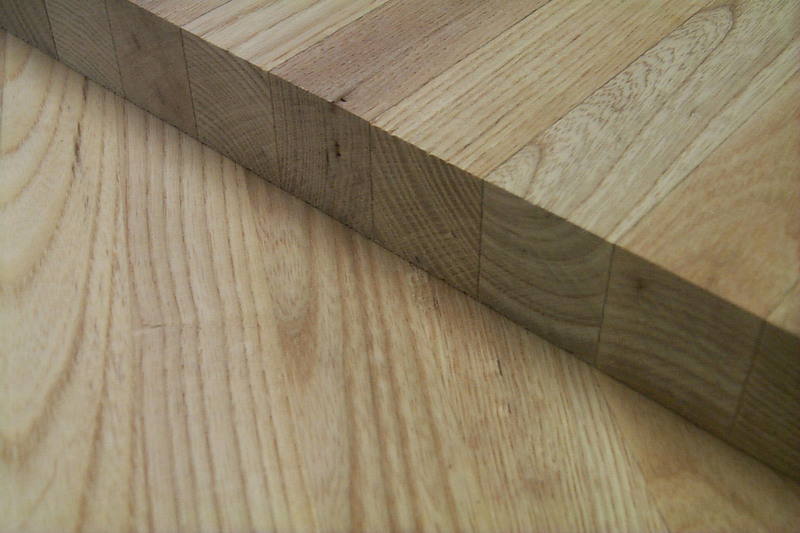 When the lumber first enters the planer, the lumber is heldagainst the bed plate by the chip breaker(s). 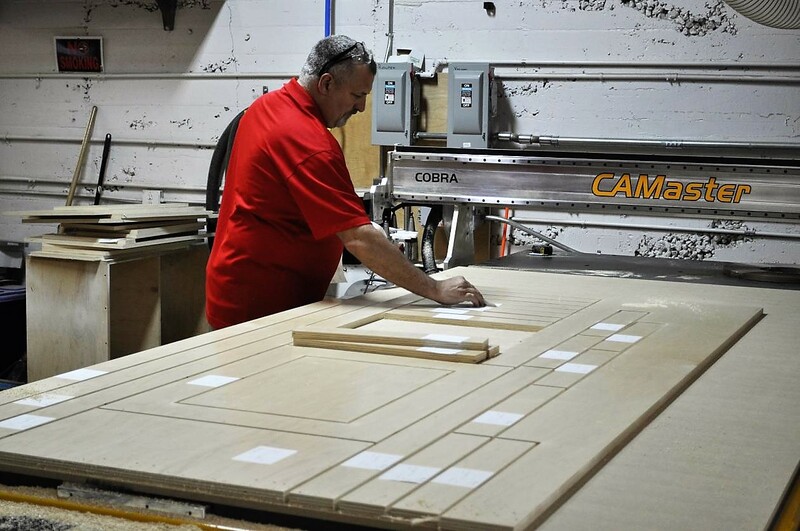 The CB is often spring loaded toaccommodate varying lumber thicknesses. If the springs are too tight, thenfeeding the planer is more difficult, but low spring tension means that thelumber can chatter when it first enters. For a stationary CB, especially withrough lumber that was air dried, the grit on the surface will wear the CB sothat the opening increases with wear. The wear is greatest in the center wheremost of the pieces are running. (More uniform wear is obtained by feeding theplaner with one piece to the left and the next to the right, using the fullwidth of the planer.) With wear in the middle, a narrower piece will chatter. The forces trying to move the lumber away from the bed plate aremuch greater when gravity is working against us. When the piece first entersthe planer and if the tailing end isnot supported, gravity will pull this unsupported tail end down, forcing thetop end that is entering the planer to go up. The CB springs are not able toresist this upward movement, so the entering end cannot be held against the bedplate. As the piece goes further into the machine, eventually the CB and PBtogether can hold the piece down against the end. So, the obvious and effectivecure for snipe on the front end of a piece of lumber is to support the tail endof the lumber at all times. In fact, rather than have a level feed table on theinput to the planer, the table should be tilted slightly so the rear end of thelumber is perhaps a ¼ inch high. The same idea applies to the outfeed. When the planed lumberleaves the planer, gravity will be pulling the front end down, and this resultsin the tail end being pushed into the planer knives. The outfeed table shouldsupport the lumber full length and should have as light elevation as the tableis further from the planer. Along with the infeed and outfeed slopes, the PB and CB must alsobe correctly set, following the manufacturer's instructions. When all is correct, the planed surface will be smooth andrequire much less sanding then if settings are off.